Guest Column: What's in a Name? In some cases, it's an entire history of social change – and a sign of things to come. That fact became clear last week, when the newly-created "Islam Party" won seats in the local governments of two towns just outside of Brussels. Redouane Ahrouch, the founder of the Islam Party, and Lhoucine Ait Jeddig took seats in the City Councils of Andelicht and Molenbeek-St. Jan, respectively, earning their places thanks to votes from those towns' significant Muslim populations. These gains in local elections by these two Islamists are troubling, demonstrating an evolution of Islamist political savvy. The Islam Party holds many of the same ideals as earlier Muslim political groups in the Lowlands, but while building on the successes of those groups, they've repackaged their message while benefitting from concentrated voting blocs in those towns. 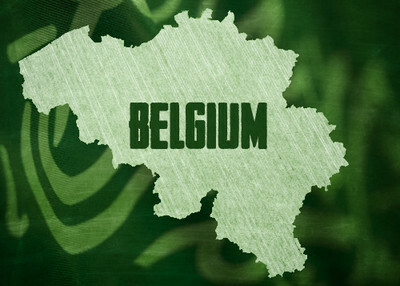 Tiny Belgium (population 11,008,000) has a big history of Muslim radicals in politics, most notably in the person of Dyab Abou Jahjah, a Lebanese-born naturalized Belgian who, in 2000, founded and then led the Arab European League (AEL), a political group that eventually gained a chapter in the Netherlands. A member of Hizballah and the author of an autobiography in which he describes his jubilation on hearing of the attacks of 9/11, Jahjah walked a tight and careful line, preaching democracy on the one hand and Islamic supremacy on the other, skillfully couching his extremist viewpoints in conciliatory speeches and deftly-written publications. And why not? By and large, there is little difference between the AEL and the Islam Party – except the name. And that distinction is notable, reflecting changes in European culture as Muslims with an Islamic political agenda enter into the mainstream. Ten years ago, the term "Arab-European" offered a soft link between Islam and Europe, a tiptoeing, as it were, from one to the other. Even the words "Muslim" and "Islam" were omitted: merely "Arab," (even though, at least in the Netherlands, many of the AEL's most active members weren't Arab at all, but Turkish). One could not, at that point, have gotten away with a name like "Islam Party." Then came Holland's Muslim Party, which, according to its Web site, was created to suit "those who hope to develop or design society according to a schema that differs from that of the majority." Its purpose, according to the site, is first and foremost to support the right of free speech – but to outlaw speech that "is hurtful to others." In other words, they don't really support free speech at all. "Minimizing the social cleft between Muslims and non-Muslims in the Netherlands; improving the image of Islam; strengthening the social position of the Islamic community and its people in the Netherlands; [and] supporting positive relations with others on the basis of mutual respect." In effect, the Muslim Party, too, is virtually identical to the AEL (which did not offer candidates for political office). But the creation of a "Muslim Party" in the neighboring Netherlands – versus an "Arab-European League" – also opened the door for the formation of a pure "Islam Party" in Belgium with all the differences in nuances between them: one party may be made up of Muslims, but the other explicitly seeks to define an Islamic agenda. And that is exactly what its leaders proclaim. Sure, like Jahjah, they mask their aims in colorful costumes and masquerades of democracy aimed at soothing the fears of non-Muslims in the community: Ahrouch has, for instance, denounced the radical Shariah4Belgium group as "far left" (though that was as damning as he got). Yet, also like Jahjah, prior to the election he observed that, according to the principles of democracy, "if a majority wishes to live by Shariah, then Shariah should become law." But things changed after the elections. In a recent press conference, Ahrouch admitted that he, too, supports Shariah for Belgium, though "not just yet." First, he says, Belgians must become accustomed to the idea, led gently to the end goal. It "will take time – decades, a century," he says. "But the movement has now certainly begun." But what else could anyone really have expected? A political party that bases its policies on the Koran does not truly represent democratic, Western goals – however well it plays the democratic game. If nothing else, the very notion of a separation between church and state is negated outright by the central foundation of their existence. Despite all this, the real threat, the real danger, is not the Islam Party or its members. It is their supporters, numerous enough to have elected them to power. Belgium's Muslim population is now around 6 percent; a recent Pew study suggests that it will rise to above 10 percent by 2030. In Europe, only France has a higher percentage of Muslim residents. Many of the more radical of those Muslims, as it happens, live in Andelicht and Molenbeek, or frequently attend rallies and demonstrations there. A Shiite mosque was torched in Anderlicht last March by a Salafist who threw a Molotov cocktail into the building even as congregants were praying. The imam died in the fire. And in June, a French Muslim, who had come to Molenbeek to take part in a pro-Islamist rally, stabbed two local police agents with a kitchen knife. The reason: an earlier arrest of 24-year-old Stephanie Djato for refusing to remove her nikab despite recent laws banning the full veil for women. This makes it somewhat unsurprising that Ahrouch received so much support. But it is also why the current local petition calling him a traitor and demanding a ban on the List Islam is not only useless (you cannot rightly recall a democratically elected official unless he can be charged with outright wrongdoing); it is entirely beside the point. Because while many insist that radical Islam in the West is a fringe movement with no substantial capacity to effect change in the way the West is run, the very real success of Belgium's List Islam makes frighteningly clear just how powerful – and how insidious – the radical Muslims among us really are.